Some boom kickers are supplied with an optional integral gas strut to aid with lifting the boom. The gas strut will lift the boom when the kicking strap is released, opening the leech of the sail. A rod kicker with a gas strut replaces the topping lift, making reefing fast and simple. SGS can supply a replacement strut or assist in retrofitting a gas strut to a boom kicker. Unsecured hatches and panels can be dangerous and we are often tasked with helping to fit gas struts to control the panel’s motion and hold it in the open position. Take advantage of our free design service and let us specify the correct boat hatch shocks, hatch lift supports and mounting locations for your hatch. Here at SGS, we have a wide range of marine struts, boat gas springs, marine hatch lift supports and gas shocks for boats – perfect for any marine application. We can meet all of your requirements when looking for marine gas springs and struts. With many more marine and boat gas struts to choose from, go online and explore our most popular marine gas struts today. We can supply any gas strut, manufactured here in the UK in our state-of-the-art, purpose-built facility in Derby. We recommend searching for the part number printed on the side of your old boat strut to help you locate the correct strut for your application. If you can’t find the correct gas strut, our sales team can still help. 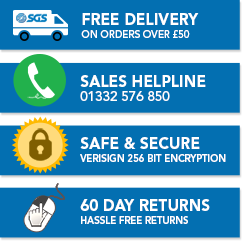 Call us on 01332 576 850 to receive a same day quote.